Ready to enter the world of diapers and babydom? 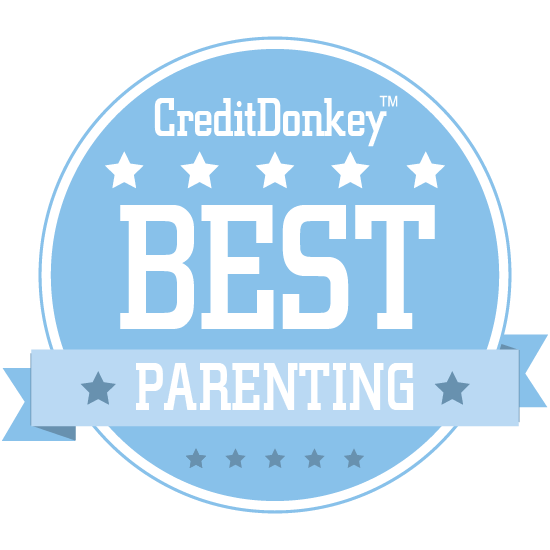 Winners of the CreditDonkey Best Parenting Essentials Award can prepare you for parenthood, with all the resources you need. Nothing stays the same when you bring kids into your life. Just when you think you've got the hang of it, something changes. With every milestone, parents need to adjust to a new way of meeting their child's needs - whether it's finding the perfect stroller, searching for a weekday caregiver, or passing on your love of reading to your little one. You need to constantly be thinking about the next step, so you can meet the needs of your children. Of course, everyone seems to be an advice-giver when it comes to raising younger people. You can ignore them when you have access to the greatest resources and apps the parenting sphere has to offer. That's why we came up with this list of the very best parenting innovators that offer useful tools and practical ways to stay on top of parenting challenges every step of the way. At CreditDonkey, we know how pricey parenting can be - credit card statements after overwhelming trips to the big-box baby-supply can be painful, especially if you made some unwise buying decisions. These innovators will help you tread carefully before you make your parenting-related purchases, by making it easy to know the right camps, products, and teaching tools for your children. Read on. There's something for everyone on this list, from the bun-in-the-oven parents to the families of four that need some guidance when they're on the move. Best of luck with whatever milestone is next! 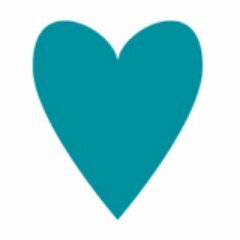 Care.com aims to make caregiving easier on every level, connecting you to babysitters, personal caretakers for the elderly, and even dog- and house sitters. A graduate of Harvard Business School, founder and CEO Sheila Marcelo was inspired to create Care.com based on her experiences as a mother of two and caregiver to her parents. Why Care.com is Best in Parenting: This reputable online marketplace hopes to make scheduling your date nights, vacations, and more much easier by bringing you the professional caretakers you need to fill in in your stead. They also take pains to ensure that paying for their services is as quick and easy as setting them up, making hiring a caretaker easier than it has ever been. Trekaroo is a travel startup for families with young kids; it connects travel-loving parents so they can share great finds like kid-friendly restaurants, activities, and lodgings. This company was founded by Brennan and LiLing Pang, a couple who's determined not to let parenthood get in the way of their love of travel, and dedicated to ensuring parents like them can still explore the world, too. 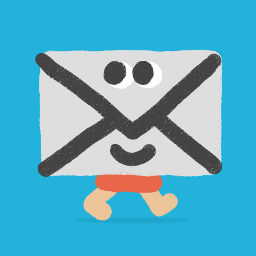 Why Trekaroo is Best in Parenting: Adventurous parents can use this service to ask other parents directly for their advice and receive recommendations, and you can even book with Trekaroo when you're ready to go. After your trip, you can review your experience, passing along your knowledge to the next family who's looking for an adventure. Lully has created the Sleep Guardian, a device that gives parents a non-medicinal, scientifically-proven solution for stopping up to 80% of their child's night terrors. Co-founder Andy Rink, MD, was inspired to create the Sleep Guardian after growing up in a family plagued by frequent night terrors, and founded the company along with Varun Boriah, MS, in 2013. 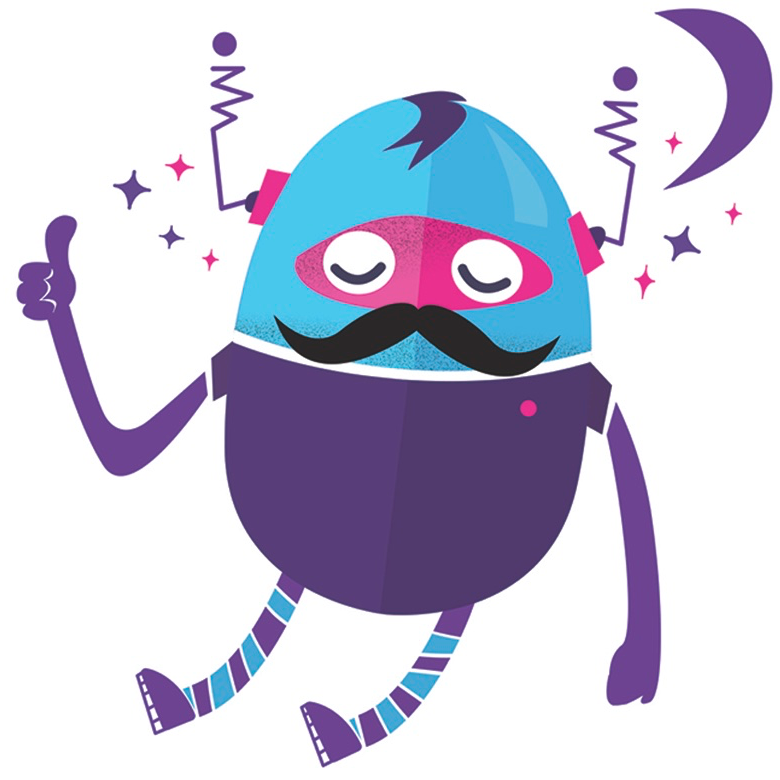 Why Lully is Best in Parenting: All parents have to do is set up the Guardian with the Lully app and enter their child's bedtime, and the Guardian will automatically vibrate to stop their child's night terrors before they start, without even waking them up. For parents of children who have frequent night terrors, this device is a sleep-saving godsend. Epic. is a startup dedicated to fostering a love of reading in children through a subscription service that provides access to thousands of children's books on any device. Epic. was founded by Suren Markosian and Kevin Donahue to provide children with alternatives to games and videos on their devices. Why Epic! is Best in Parenting: Parents of kids who love reading can now spend a small monthly fee to provide their child with unlimited reading. In addition, the service is free for elementary school teachers and librarians. 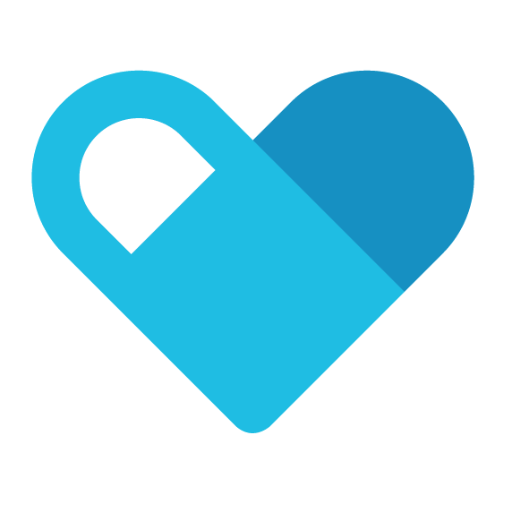 Love My Provider enables parents to search for and choose from thousands of autism, special needs, and ABA caretakers in cities all over the country. Why Love My Provider is Best in Parenting: Each provider comes complete with reviews from real parents of special needs children so you can be sure you're choosing a trusted provider. Remind is an app that makes school communication easier; teachers can easily send messages to parents, and parents can keep all of their school communication in one place and choose how to receive important messages. Brett and David Kopf founded Remind to streamline communication among teachers, students, and parents, and give students more ways to succeed. Why Remind is Best in Parenting: With this app, parents can receive messages about lessons and events at school so you can bring them into the conversation at home. With the group function, parents can even message other parents, which is especially handy if you lead a parent organization. ClassDojo is an app that aims to create more positive classroom cultures by connecting teachers, parents, and students across one network, enabling them to share moments and lessons. The people at ClassDojo believe that there is no one perfect classroom, and have set out to give parents, teachers, and students the tools they need to create the perfect unique environment for them. Why ClassDojo is Best in Parenting: With this app, parents will be able to check out photos and videos of the day's lessons, while students can showcase their work in a portfolio that teachers and parents alike can see and provide encouragement on. It even lets parents and students text privately without exchanging phone numbers; perfect for creating a line of communication while maintaining privacy. Build & Imagine's Storywalls are toys that combines elements of building, design, and storytelling for a fun, dynamic experience that will help your child develop a number of skills. Inventor Laurie Peterson has over a decade of experience in designing and marketing unique new toys, and founded Build & Imagine to provide girls with a toy that will also develop skills such as problem-solving, building, and experimenting. Why Build & Imagine is Best in Parenting: While many little girls love dollhouses, this company creates toys for girls who want to design and build their own, with bright colors and characters sure to spark the imagination. They even create pieces for kids to draw on, so they can create their own unique scenes. Hulafrog aims to connect suburban parents to local, family-friendly events and businesses, as well as other parents in their area. Why Hulagfrog is Best in Parenting: Every activity and business can be reviewed and rated by users, so you can see what other parents think of each event. With Hulafrog, you and your family will spend less time looking for fun activities, and more time doing them. PopUp Play aims to inspire the next generation of engineers and architects by giving them tools to design their own playhouse and have it manufactured and shipped to your door. Why PopUp Play is Best in Parenting: Children can choose from presets, then customize the design's structure, add graphics, and even stamp their name on it. Their playhouses are easy to set up - no glue or tools necessary - and just as easy to break down for storage. Tinybop creates elegant and educational apps for iPhone that teach kids about topics like geology, the human body, and the solar system. Founder and CEO Raul Gutierrez's goal is to create a company in which technology, engineering, and design combine to create delightful educational experiences for children. Why Tinybop is Best in Parenting: This company's apps let kids explore big ideas while learning how their world works and exercising their creativity. They even offer "digital toys," open-ended tools that let kids test the limits of their creativity. PLAE makes durable, customizable kids' shoes designed to let your kids' feet grow in a natural and healthy way. Founder and Chief Designer Ryan Ringholz has designed shoes for athletes, high fashion, and more, and now he's set his sights on creating the perfect safe, durable, and comfortable kids' shoe. Why PLAE is Best in Parenting: Parents can adjust the shoes' fit and even throw them directly into the washing machine when they get too dirty, making them perfect for busy, active kids. They're also made from recycled, safe materials, so eco-friendly parents can rest easy. Roominate is a building tool geared toward girls; it's designed to give young girls hands-on experience with spatial and problem-solving skills to encourage further interest in STEM subjects. Co-founders Alice Brooks and Bettina Chen met while pursuing an MS in Engineering at Stanford, and founded Roominate to recreate their own childhood experiences with building toys and provide inspiration to the next generation of STEM women. Why Roominate is Best in Parenting: STEM careers are still male-dominated, but this product's inventors have given parents a toy that will encourage their daughters to develop STEM skills early in life. With motor and light circuits, furniture building pieces and walls, Roominate is a building toy that girls will love, without even realizing how much they're learning. 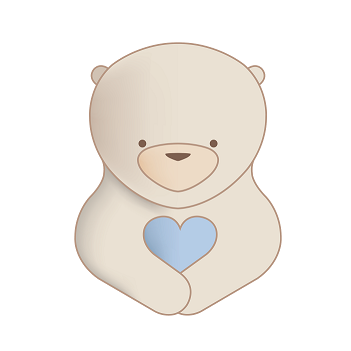 Teddy the Guardian and his friends are the first smart stuffed toys on the market; adorable plush critters with the ability to measure things like posture, body temperature, and heart rate. Why Teddy The Guardian is Best in Parenting: Each of the three stuffed toys this company makes serves a different, useful function, from teaching your child good posture to keeping an eye on their body temperature, and much more. With built-in touch-based technology and an accompanying app, these toys are an easy, friendly, and non-intrusive way to keep tabs on your child's health and development. UrbanSitter is a startup that matches busy parents with trusted babysitters and nannies in major cities. Founder and CEO Lynn Perkins has over fifteen years of experience building and growing Internet-based businesses, having worked with companies including Xuny.com and Gap Inc.
Why UrbanSitter is Best in Parenting: This company knows that finding a great babysitter at the last minute is a near-impossible task, and its service aims to solve that problem by providing access to quality, vetted childcare, nannies, and sitters. Currently available in a number of major American cities, this startup's service allows you to view babysitter and nanny profiles and see who's been hired over and over so you can be sure you're getting someone you can trust. Piggybackr is a crowdfunding site for teams, allowing many people to solicit donations for things like school projects, athletics, and more. 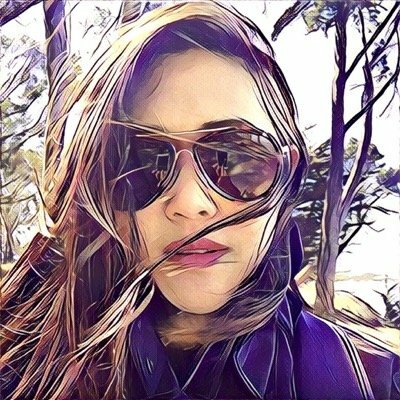 Co-founder and CEO Andrea Lo is a TEDx speaker and UC Berkeley Haas School of Business alumna, while her co-founder and CTO Keenahn Jung is an experienced software developer with UC Berkeley degrees in Computer Science and Cognitive Science. Why Piggybackr is Best in Parenting: Parents, teachers, and coaches who are looking for funding for a school trip, new team uniforms, or anything else will find this site to be a breeze to use. If students are participating in the fundraising, the badges and fundraising points make for great motivators. 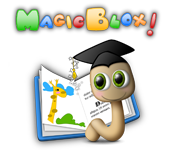 MagicBlox is a digital children's book library for kids from ages 1 to 13, featuring well-known books as well as new discoveries. Founder and CEO Jason Lane has over 10 years of experience building digital web and mobile apps for the entertainment industry; he also has education experience. Why MagicBlox is Best in Parenting: Their aim is to make reading more fun and accessible for kids while providing parents an affordable alternative to buying volume after volume. They have subscription options that offer one book per month and five books, as well as one that grants unlimited access to their library. Pelv-ice's Mama Strut is a postpartum healing brace that's engineered to deliver heat/ice therapy to reduce birth pain, swelling, and cramping while also supporting the back and abdomen. Founder and designer Jill Bigelow is a serial entrepreneur, finance professional, and mother of three who created Mama Strut to help mothers like her. Why Pelv-ice is Best in Parenting: Available in 9 sizes, it's a scientifically-designed wearable that aims to provide the best in postpartum healing. Mama Strut also knows that every postpartum period is different, which is why they designed the brace to be easily adjustable to suit the needs of every mom. The most unique feature is the pelvic floor support with ice/heat capabilities just where you need it. Mom Trusted helps parents find tutors, childcare services, and preschools with its referral network of over two million parents. This company aims to empower both parents and providers in order to create better environments for children. 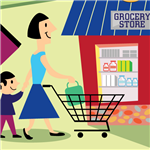 Why Mom Trusted is Best in Parenting: Whether you want to use their network to find childcare services, or you want to add a service of your own to their network, this is a great resource for busy parents. 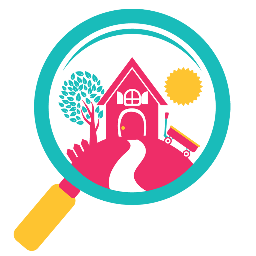 It allows you to quickly and easily search for the service you need in your neighborhood, and check out reviews of what you find. Kidzmet offers a "Learning GPS" that helps parents and teachers map their kids' unique paths to learning success. Since the company was founded in 2010, Kidzmet has won a variety of awards for their kids' personality type profiles and insights from parent, teacher, and homeschool groups alike. Why Kidzmet is Best in Parenting: They know that each child learns in a different way, and their system works to identify what works for each child. Parents just have to profile their child, and they can start tapping into an extensive online library of tools, techniques, and activities tailored to their child's learning style. Schoola is a school fundraising program that lets families shop high-quality secondhand clothing, with every purchase benefitting their school. Why Moxie Jean is Best in Parenting: Parents can donate gently used clothing to Schoola at any time of year to clean out their kids' closets, and schools can use the proceeds to improve performance. This organization offers great secondhand clothing at low prices, and all for a great cause. SittingAround makes it easy for parents to find babysitting co-ops, which can provide them with free babysitting and help them build a childcare community in their neighborhood. Founder Erica Zidel is a longtime entrepreneur who worked as a management consultant advising Fortune 500 companies on eCommerce and business strategy prior to founding SittingAround. Why SittingAround is Best in Parenting: Babysitting co-ops are a group of parents who trade free babysitting with their neighbors, and they're growing in popularity. The average parent saves over $500 a year with a babysitting co-op while going out on the town more often; why not give it a shot? 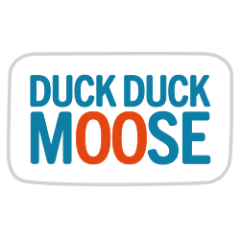 Duck Duck Moose creates award-winning educational apps for children that teach everything from math to building to creative skills. Why Duck Duck Moose is Best in Parenting: With a large suite of fun, colorful, and educational apps, parents looking for more ways to help their kids learn during their screen time should definitely give this company a look. Subjects include basic math, recognizing colors and shapes, and even basic physics with fun apps like Moose Math, Pet Bingo, and Build A Truck. 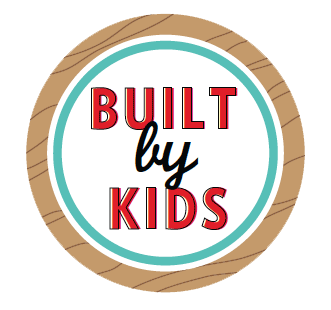 Built by Kids is a blog for parents and caretakers who want to inspire the creative spirit in children through fun DIY projects. Why Built by Kids is Best in Parenting: If you're a DIY-loving parent who wants to share your passion with your children, this blog will give you tons of ideas for doing just that. Plum Print is a startup that transforms children's artwork into custom coffee-table books while cleaning up the artwork clutter. Company founders Carolyn and Meg found themselves wondering what to do with their kids' ever-growing stack of artwork, and Plum Print was their solution. Why Plum Print is Best in Parenting: The beautifully produced books this company offers will preserve your child's masterpieces all in one place, so they'll always be able to return to them. 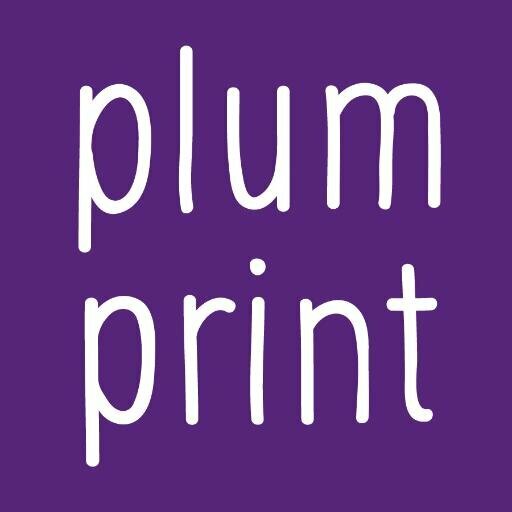 Plum Print delivers a prepaid shipping box to your door. You simply fill it up with artwork and ship it back. Plum Print then professionally photographs the artwork and makes a proof for you to approve or adjust as you see fit before the book is printed. With twenty-four levels and a whopping eighty-five eBooks, Ooka Island is an adaptive, game-based program that teaches young children how to read. 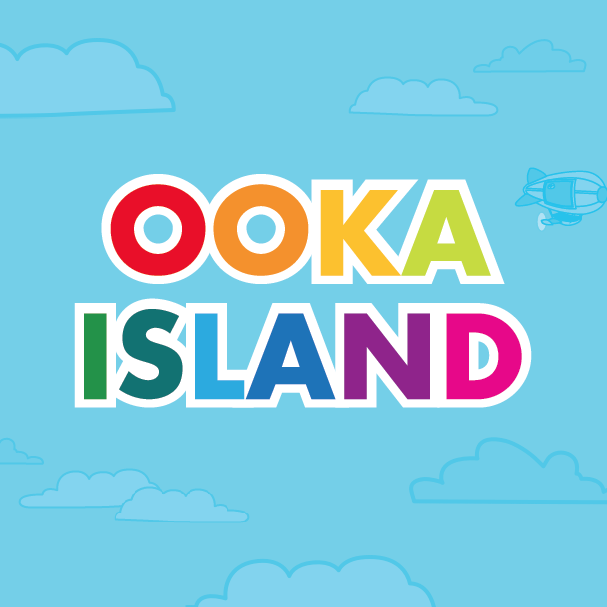 President and CEO Kelly Shaw brings over twenty years of experience in strategy, marketing, and technology development to Ooka Island, having built a $10M business into a $182M one while an executive at Pearson. Why Ooka Island is Best in Parenting: This program's adaptive technology charts a personalized path for each user and provides real-time reports to students, so you can ensure that your child's reading abilities are top-notch. Built on twenty-five years of educational research, this company teaches each of the five major foundational skills necessary to be a confident reader. Bark is a startup that aims to be your family's digital watchdog, detecting messages that contain cyberbullying, sexting, signs of suicidal thoughts, and more. CEO Brian Bason founded Bark in order to help parents work together with their children to navigate today's often-dangerous digital landscape. Why Bark is Best in Parenting: This app makes it easy for parents to connect to their children's accounts, and then it automatically monitors every message and alerts parents to any signs of trouble. This not only saves parents time, but it also engenders trust between parents and children while allowing parents to feel secure in the knowledge that their kids are staying safe online. 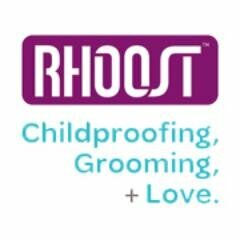 Rhoost creates natural baby grooming products and stylish baby-proofing products that will fit right in in your home. Co-founder Vianka Perez Belyea brings ten years of experience in business operations, new business development, and marketing to Rhoost, while co-founder Tavinder Phull has a decade of experience in business strategy, supply chain management, and business operations to the team. Why Rhoost is Best in Parenting: Their goal is to create products that are safe for both your child and the environment, allowing you to have fun being a parent instead of worrying. Offering travel accessories and safety products like outlet safety covers and table corner guards, Rhoost's products are simple, attractive, and sustainably-made. Primary is a company that offers up simple, logo- and slogan-free, solid-color clothing for babies and young children. Co-founder Galyn Bernard spent years building great brands for parents like Baby Einstein and Diapers.com, while the company's other co-founder Christina Carbonell has launched a whopping nine successful e-commerce sites. Why Primary.com is Best in Parenting: Free from choking hazards and messages, this company's products are all about bright, fun colors, high-quality fabrics, and great designs. Primary is so confident in their product that they offer free shipping on orders up to $50, and a 90-day return policy. 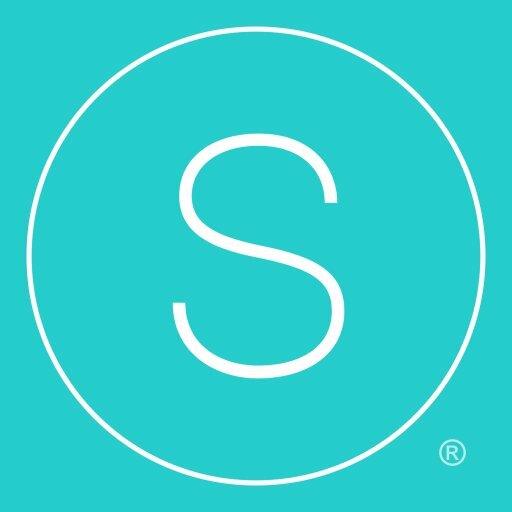 Sitter makes booking a babysitter easier than ever, allowing friends and neighbors to build a network of trusted sitters and book and pay them in a flash. Co-founder and CEO Kristen Stiles has experience in both IT and business strategy, having worked in a number of roles for Hewlett-Packard, while CTO and co-founder Matt Stueve has nearly 20 years of experience in web application development and IT management at companies like Inspirato and RTP. Why Sitter is Best in Parenting: Whether you want to book your most trusted sitter or find someone new whom your friends recommend, this app will make it a cinch. This app also helps trusted, experienced babysitters find new clients through recommendations. Hullabalu is an independent company dedicated to creating a new genre of next-generation interactive stories for kids. Hullabalu is a small company based in New York City that, in addition to crafting their own stories, have also developed the animation and design technology to tell them. Why Hullabalu is Best in Parenting: With music, interactive activities, illustrations, and fun original characters, this company's stories will spark your child's imagination. They believe great stories can inspire generations, and strive to craft children's tales that live up to the classics using the benefits of modern technology. 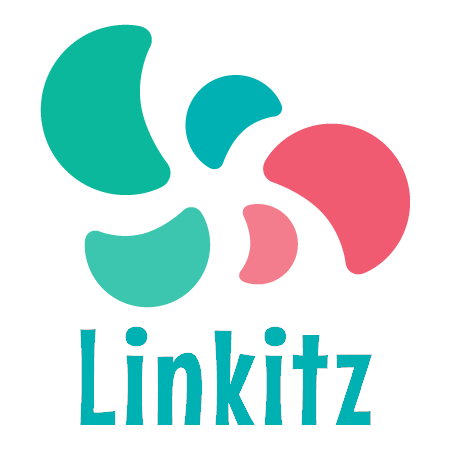 Linkitz is a wearable electronics kit for kids, allowing them to make different toys, play games, and even learn the basics of coding with a simple modular bracelet. Founded by Chris Wallace, Drew Macrae, Lyssa Neel, Linkitz was designed to fill in the void of technology toys designed with girls in mind. Why Linkitz Systems is Best in Parenting: Kids can build friendship bracelets that light up when friends are near, send secret messages to each other, and play motion and proximity-based games with them. This is an electronics kit that will keep kids engaged, learning, and active; perfect for parents who want to limit screen time. Knit Health has created Knit, a baby monitor that automatically measures how easily your child fell asleep, when they woke up, and all of the important moments in between. CEO and co-founder David Janssens is inspired to create great technology for new parents, especially because he himself is one. COO and co-founder Paul Silberschatz is likewise a new dad with a passion for making parents' lives better, and CTO and co-founder Evan Shapiro's passion is applying technology to help parents and families. Why Knit Health is Best in Parenting: Knit is designed to give parents peace of mind by providing alerts whenever a child needs attention due to room conditions, crying, or anything else. Best of all, it can do all of this without an annoying wearable bit of technology; it's all included in their camera. Trusted makes it easy to find reliable, trustworthy babysitters and nannies; you can describe what you need, browse available providers, and even watch video profiles to find the perfect care provider for your family. Founded by Anand Iyer, Vivian Chan, and Alex Skyrl, Trusted aims to provide the highest quality child care, whenever and wherever parents need it. Why Trusted is Best in Parenting: Parents can even use the Trusted app to monitor their child and caretaker throughout the booking by messaging the caretaker, tracking location, and more. Every caretaker is background-checked, screened, and trained, so you can be sure that you're getting a trusted, qualified sitter or nanny. CareLuLu is a company that aims to make it easy for parents to find the perfect daycare or preschool for their child, with advanced search options and even the ability to book tours with the childcare locations you want to look into. The idea for CareLuLu was born when co-founders Patrick Matos and Jen Usmanova struggled to find the right childcare for their two daughters and found that many locations even lacked a website; this is their solution for busy, frustrated parents everywhere. Why CareLuLu is Best in Parenting: Parents who want their child in a Montessori, language immersion, or other special school or daycare will love this company's unique search functions. The app also includes photos of each location and parent reviews so you can easily find the most trustworthy locations. 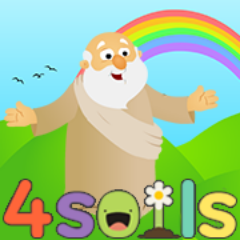 4Soils creates the Bible Heroes line of apps, a series of Bible-based apps that teach kids about Jesus and the Gospel. Why 4Soils is Best in Parenting: This app is perfect for parents who would rather their child spend their screen time engaging with Bible-based games, songs, and stories rather than playing mindless mobile games. 4Soils aims to make the Bible accessible and fun for a young generation; perfect for Christian families. 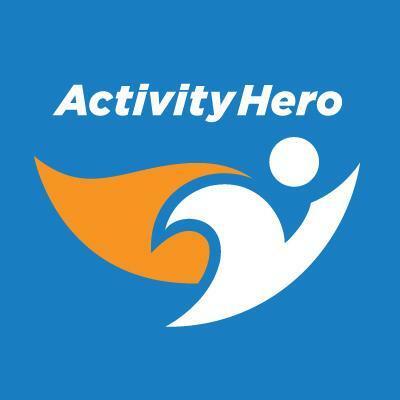 ActivityHero is a useful resource for finding camps, classes, and activities for your kids that fit with your busy schedule. Co-founders Peggy Chang and Shilpa Damia grew tired of making phone calls, filling out endless forms, and mailing checks, and in 2012 launched ActivityHero to make finding camps and classes for kids as easy as online shopping. Why ActivityHero is Best in Parenting: Finding the right camp or class for your child can be a chore, but the website makes it easy: just enter your location and instantly see a huge list of potential activities. If you run a camp, class, or ongoing activity for kids, you can also request ActivityHero to list your business so parents can find it more easily. Maily is a social app for kids, allowing them to connect with friends and family and send them pictures and messages. Why Maily is Best in Parenting: While social media apps like Facebook might be a bit too much for young kids, this company aims to inspire creativity and social interaction in a kid-friendly, secure, and fun network. Best of all, parents get to approve of each new contact, as well as every message their child sends and receives. Piggybank is an easy-to-use chore and payment app, letting users assign chores and make and accept payments instantly when the job's done. 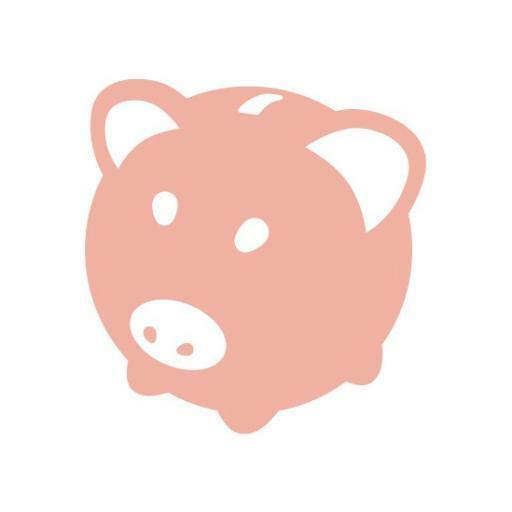 Why Piggybank is Best in Parenting: For parents of tech-savvy kids, this is a great introductory finance app that lets kids see the monetary fruits of their labor as soon as they complete their chores. 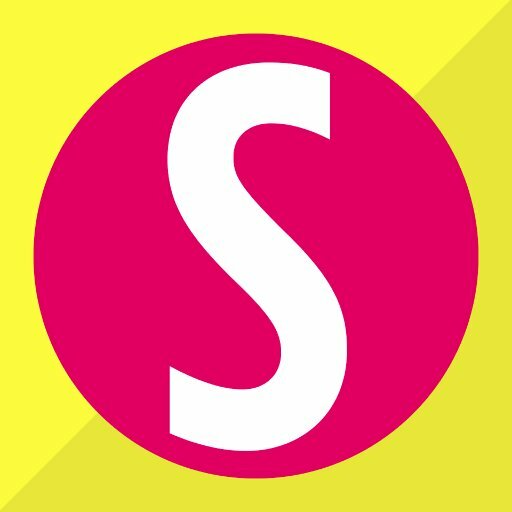 This app is also useful for paying allowances, tracking chores, and communicating about chores and money. Tinkergarten is a company that aims to provide high-quality early childhood education that encourages both fun and health in the outdoors. Co-founders Meghan and Brian Fitzgerald have experience in educational curriculum development and the tech sector, with Brian having been a developer of consumer digital products since 1995. Why Tinkergarten is Best in Parenting: In addition to getting kids outside to learn, this company's curriculum is an expert-designed, play-based system that builds progressively, week after week. Their goal is to give kids the opportunity to play, learn, and tinker in the outdoors, just like we did when we were kids. Hopscotch is an app designed to make learning to code easy and fun for everyone, even kids. This company recognized that everything from music creation to movies has been democratized by the Internet, and aims to make the creation of software similarly accessible. Why Hopscotch is Best in Parenting: Coding is an extremely valuable skill, and this company is all about providing parents with a tool that will get their kids interested in coding early on. This app will also encourage creativity by allowing users to create their own games, drawings, websites, and more. Findster is a GPS-based device and app that lets families track their pets' location in real time. Why Findster is Best in Parenting: Families can even set GPS boundaries for their furry friends and receive an alert should the pet venture outside those boundaries. Users can also trace their pet's travel history and compete against other users for steps taken and other milestones. Kidz Central Station is a fantastic resource for New York City parents looking for classes and activities near them. Founder and CEO Lauren Pohl grew frustrated searching dozens of sites looking for the right class for her daughter, and decided to launch Kidz Central Station to ease the pain. Why Kidz Central Station is Best in Parenting: Parents can use a detailed search function to filter for the classes they want, then find the right ones and enroll right on the site. This site will save any New York City parent a ton of time and turmoil when it comes to finding summer and after-school activities for their kids. 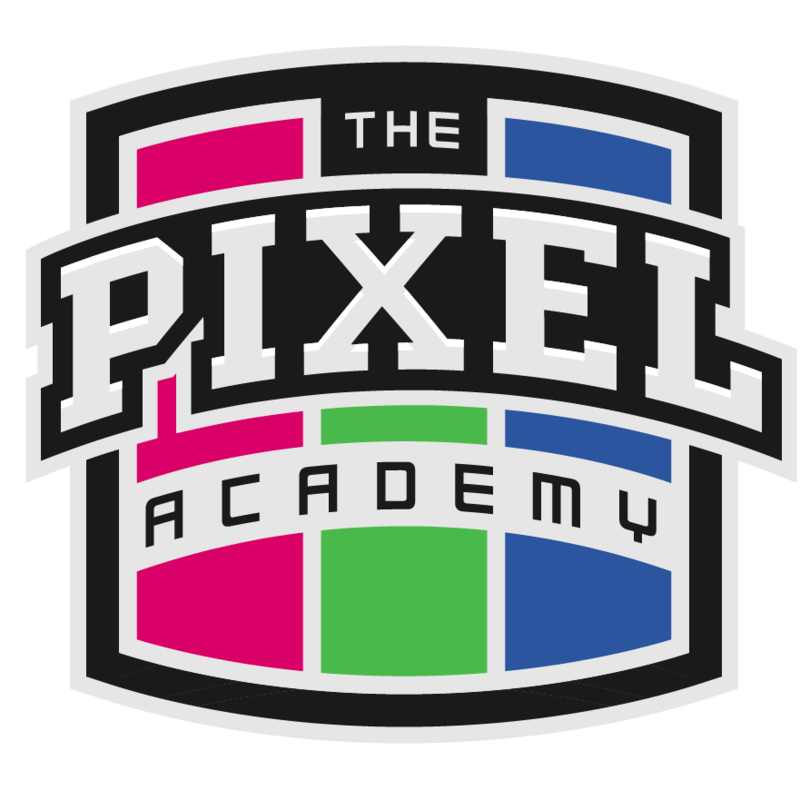 Pixel Academy offers a unique extracurricular learning experience for kids aged 7-16, with a focus on expanding creativity using great technology that most kids don't have access to at school. Why Pixel Academy is Best in Parenting: This company's project-based learning approach to teaching kids how to interact with and use technology is a great option for parents who want to raise tech-savvy kids. They offer after-school classes in addition to day and week-long camps in New York City's Tribeca neighborhood. Kango is an app that allows parents to book rides, childcare, or both with trusted, background-checked caregivers. Co-founder and CEO Sara Schaer, who holds an BA from Stanford University and a MBA from the Essec School of Business in Paris, is on her third startup, while CTO and co-founder Kaliyuga Sivakumar designed and built Snapfish's cloud-based storage system. Why Kango is Best in Parenting: This company puts your kids' safety first, with all of its caregivers fingerprinted and their DMV records checked. You can even track your child's ride in real-time so you can always keep an eye on them. Kango is one of the only provider insured to transport kids of any age, from preschool to high school. Parents can even request to meet their driver before the ride (if desired). weeSpring brings parents trusted user reviews on everything they could need for their new baby and the rest of their family. Founder Ally Downey was inspired to create weeSpring after an overwhelming shopping experience at Babies "R" Us, and aims to make the shopping experience a breeze for other new parents. Why weeSpring is Best in Parenting: They aim to create a simple, accessible source for product reviews to make life easier for overwhelmed new parents. 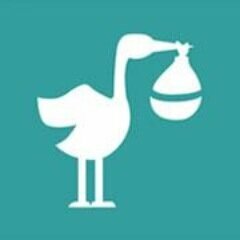 Parents can use this site to find the best products for their new bundle of joy, then pay it forward by leaving their own reviews for future users. 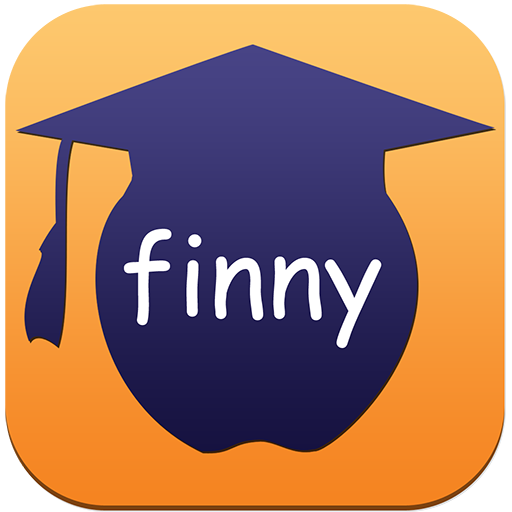 Finny aims to pack learning moments into kids' screen time with an app that interrupts otherwise unproductive time with fun, educational quizzes. Why Finny is Best in Parenting: All parents have to do is identify unproductive apps, select the content categories you want your child quizzed on, and configure the rewards and penalties the app gives; Finny will do the rest. This app is not only educational, but it also encourages healthy screen and device habits for your kid. 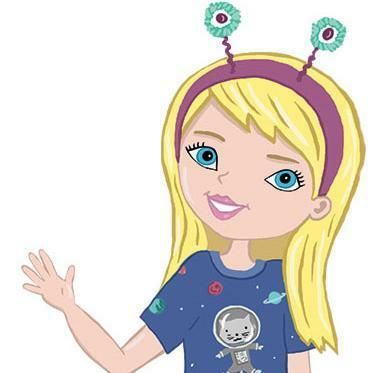 DigiPuppets is a company that creates high-quality toys that pair with their interactive, educational apps to create uniquely fun digital learning experiences for children. Wharton School MBA students Brendan Green, Dan Clay and Matt Newcomb dreamed up DigiPuppets in 2013, and have worked with an experienced team of illustrators, animators, writers, and even teachers to make their vision a reality. Why DigiPuppets is Best in Parenting: Mobile devices are increasingly the most popular children's toy out there, and this company aims to create positive, socially conscious, and interactive experiences kids can enjoy on them. All you need is the DigiPuppet toy and the app, and your child can start bringing a whole world of learning and storytelling to life on a tablet or mobile phone. reCrib is an online marketplace that allows parents to buy or sell gently-used baby and kids' gear like strollers and, of course, cribs. reCrib was founded in 2011 by husband and wife team Daniel and Michelle Lehmann, who are retailers, marketing professionals, and entrepreneurs. Why reCrib is Best in Parenting: Baby gear is expensive, and only needed for a few years; this company aims to reduce waste and recycle that gear so other families can save money. Everything from high chairs to toys to nursery furniture is available; all of the best brands, all at the best prices. 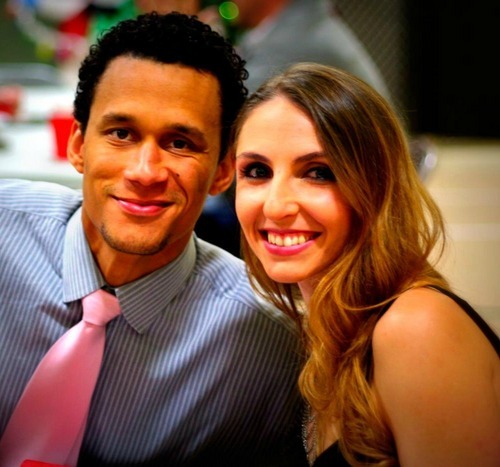 Red Carpet Kids is an experiential entertainment and event company specializing in immersive Red Carpet experiences for kids and their families. Why Red Carpet Kids is Best in Parenting: Kids and families can star in their own movie, attend the red carpet premiere, and even accept awards for their performances. With music, fashion, and film-based experiences, these are exciting blockbuster experiences your kid will never forget. 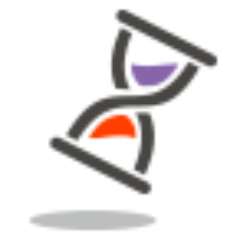 WebCurfew allows parents to not only filter the content their kids can access online, but set limits for screen time and even turn off devices. Why WebCurfew is Best in Parenting: If you want your child to be off the Internet at 9 PM every night, all you have to do is set it up, and WebCurfew will block Internet access to your kid's device at the appropriate time. It's also simple to check your children's web history, including what sites they visit, how often they visit them, and when they're online. Barley + Oats is a meal service specifically designed to support moms-to-be through their childbearing years, with a focus on vital nutrients in the proper amounts. Barley + Oats' founder Ashly studied at the Natural Gourmet Institute, and put her nutritional skills to work for herself while pregnant; now, she aims to help other women do the same. Why Barley + Oats is Best in Parenting: This company offers up readymade meals with nutrients that promote everything from ovulation to a higher IQ in your baby. Barley + Oats knows the right nutrition women need, whether pregnant, breastfeeding, or trying, and have meal plans for each and every phase. 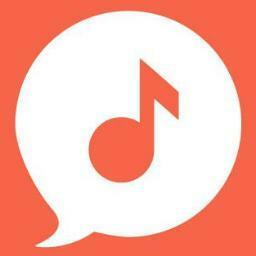 Gabuduck creates fun, colorful apps for kids that are focused on music, singing, reading, and of course, play. Co-founder and CEO Angela Abshier is an intellectual property lawyer by trade who brings 25 years of business relationships in music, film, entertainment, and development to the company, while co-founder and "Head of Fun and Games" John McClain is a producer specializing in audio with 22 years experience. Why Gabuduck is Best in Parenting: They use mobile technology to bring fantastic interactive experiences to kids that are sure to instill a love of music, reading, and learning. Each app even comes with professionally produced original songs by professional artists, including the Grammy-nominated musician Lisa Loeb. Go Go Games is a startup dedicated to helping children with Autism Spectrum Disorders (ASD) learn with the help of entertaining games and modern technology. This company's founders, Joy Wong Daniels, Alexis Hiniker, and Heidi Williamson, are all graduates of Graduate School of Education at Stanford University who set out to create a series of therapy apps for kids with ASD that actually feel like play. 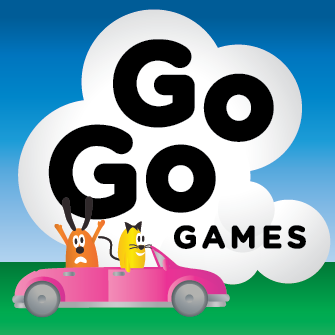 Why Go Go Games is Best in Parenting: This company's games are all built to help kids with ASD to recognize multiple features of objects in the world around them, a skill that is a common difficulty among children with ASD. Each of the company's three games is built around Pivotal Response Therapy, which targets those key skills that are known to have broad benefits in child development. PenguinSmart is a digital health startup that provides parents with individualized daily speech and language training guides to help them maximize their child's communication potential in their most formative years. Co-founder and CEO Amy Kwok, MD/MPH, was inspired by her experiences working with families around the world, and founded PenguinSmart with a team of MIT MBAs in 2015 to democratize access to the latest child development tools. Why PenguinSmart is Best in Parenting: One in six children has a developmental delay, with most needing speech & language help. This company combines the expertise of trained professionals with machine learning to give parents the tools they need to conduct at-home communication rehab. 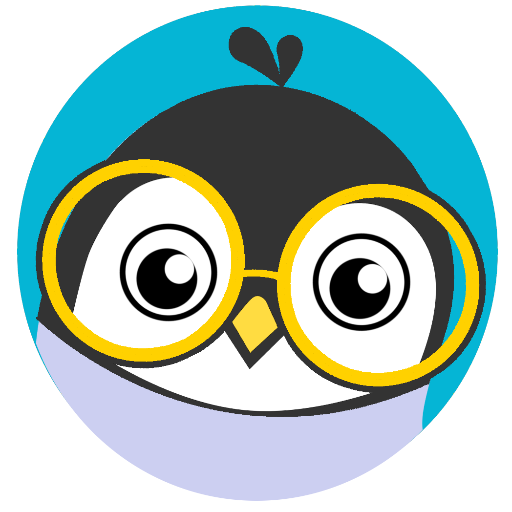 Overseen by licensed Speech Language Pathologists, PenguinSmart believes that with their tailored programs, trained parents can be just as effective at helping their child as the professionals. 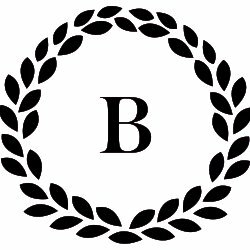 Bharat Babies is a startup that designs and produces developmentally appropriate children's books that tell the stories of India's history. Founder Sailaja Joshi founded Bharat Babies after realizing that among the few books she could find that spoke of India's heritage, none were appropriate for sharing with her young daughter. Why Bharat Babies is Best in Parenting: With books for a variety of age groups from early reading on, these products are ideal for parents who want their young children to learn about India, its history, and its heritage. Parents frustrated by the lack of age-appropriate, English-language stories from India need look no further. Kadho offers up early childhood education software like games and eBooks, all scientifically designed to enhance your child's language-learning abilities. CEO Kaveh Azartash received his PhD in Biomedical Engineering from the University of California Irvine and has years of experience in the biomedical field, while CSO Dhonam Pemba likewise received his PhD from UC Irvine, where he developed technologies to restore neural function. Why Kadho is Best in Parenting: These apps are the perfect solution for parents of young children who want to set their kids up with the building blocks necessary to more easily learn to speak a second language. Kadho aims to apply the fundamentals of cognitive developmental neuroscience to their products in order to provide parents and kids a new way to have fun and learn. Alt12 makes apps for parents-to-be and parents, including Pink Pad, a menstrual health and fertility app, and BabyBump, a comprehensive pregnancy app. Why Alt12 Apps is Best in Parenting: This company's free apps are there for every stage of early parenthood, from becoming pregnant to pregnancy to documenting you child's early years. Each app even contains a social component, so women and parents can communicate and exchange advice. 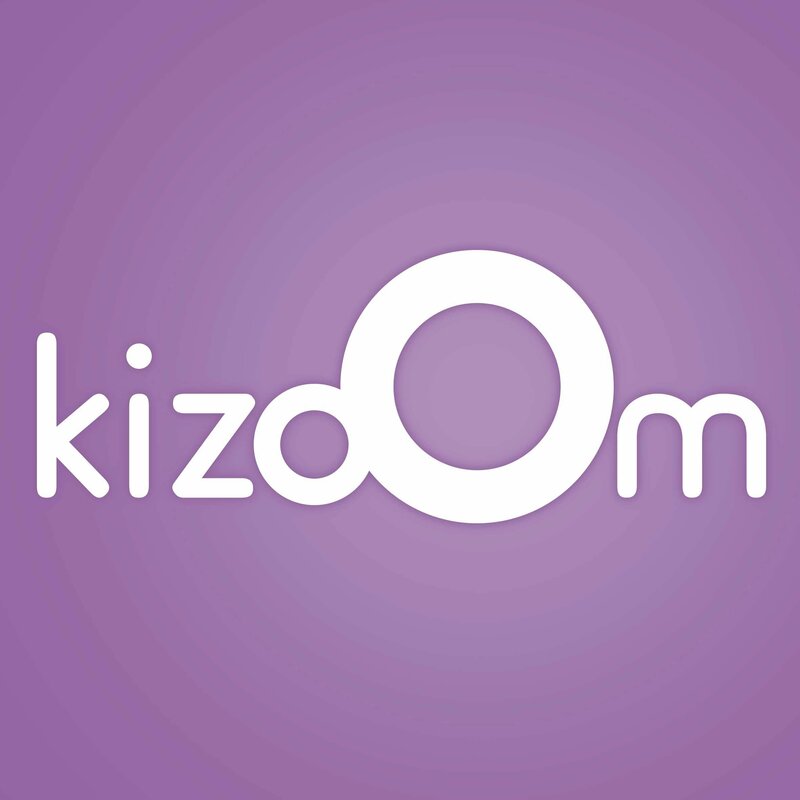 Kizoom is a company that develops games based in neuroscience and designed to help kids' brain development. Founder and CEO Erica Warp is a neuroscientist who is using her knowledge of the human brain to help make kids smarter. Why Kizoom is Best in Parenting: These games also empower children to develop confidence, curiosity, persistence, and other key social skills that will serve them well throughout their life. 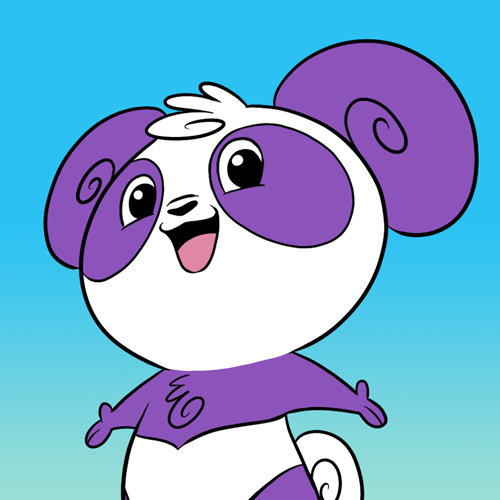 With a number of apps designed to challenge kids and teach them about their own brain, Kizoom creates fun, interactive games and stories. Covey is a social networking app for parents, designed to help you build friendships and get you and your kids out of the house for playdates. Why Covey is Best in Parenting: Working almost like a dating app, Covey lets you fill in a profile with your interests and introduce yourself to like-minded parents near you. You can even create groups to communicate and plan activities with other parents, all in one place. SupportPay is the world's first automated child support payment platform, ensuring that you never have to talk to your ex about money again. Why SupportPay is Best in Parenting: Users can choose how much to pay before the due date, and track how you and the other parent spend child support expenses. This app also makes it a breeze to upload and export tax reports, receipts, payment proofs, and whatever other legal documents you need for court or tax purposes. 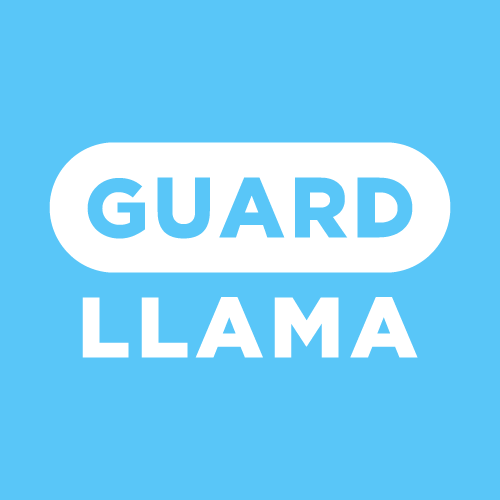 Guard Llama is an app and device that allows users to simply enter their personal and medical information and use a Bluetooth-enabled device to signal police and medical professionals if they are in trouble. Why Guard Llama is Best in Parenting: Just tap the button on the device two times, and it will send your GPS location and personal information to the police. This device is perfect for parents who worry about their children's safety on a daily basis; just ensure your child is carrying the Guard Llama, and they'll never be more than two taps from safety. Share on Facebook "Best in Parenting"